An update to Basic Slap Jack has been released. The update addresses a minor bug with the game saving if you leave it without pausing. Before it wouldn’t save it and if the game was removed from memory it wouldn’t resume at the proper point. It now automatically saves the game if you leave it at any point. This will make it easier to return to your game at any time. The update also adds the ability to remove ads. This is an in-app purchase and only costs $.99. This will remove the ads on the main menu screen and also remove the ads that take up the full screen once a game has been completed. If you have already downloaded Basic Slap Jack check for updates in the App Store App. 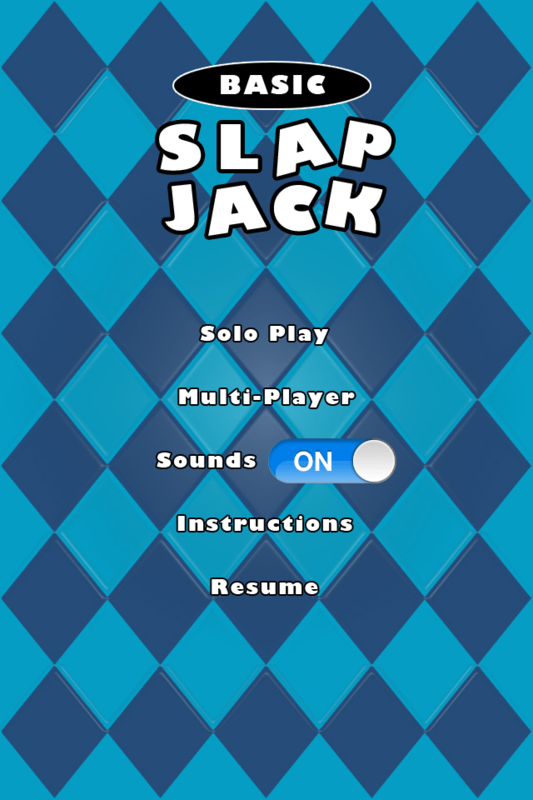 If you haven’t downloaded it, download Basic Slap Jack now! Basic Slap Jack offers a variety of game play. You can play on your own against up to 3 computer opponents or gather up to 3 of your friends in multi-player mode.